There’s no need to tell you how important a good scratcher is for your beloved pet! Far from a simple toy, it represents the perfect combination of exercise, stretching, and territorial marking. Cat scratching posts or corrugated cardboard cat scratchers are proven to be not only a key component of a cat’s physical health but also their mental well-being, too. If you are a long time cat owner, you know the importance of cat scratchers. It’s in your cat’s nature to scratch! Scratchers come in many shapes and colors. 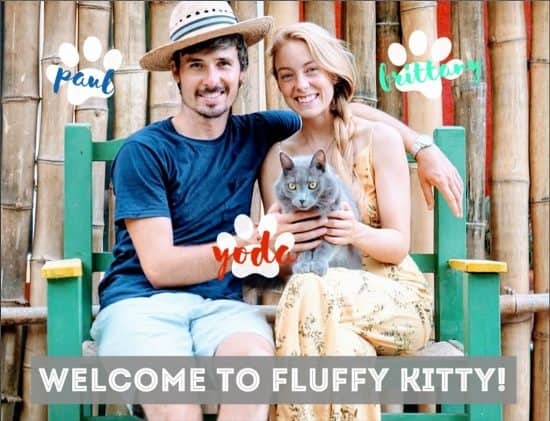 But if you’ve landed here, it’s because you were looking for an all-time favorite of cats. The corrugated cardboard cat scratcher! Cardboard cat scratchers may not be the most attractive piece of cat furniture. However, our feline friends go nuts for the texture that perfectly suits their sharp claws. Beyond this, corrugated cardboard scratchers are environmentally-friendly. Just another reason why we love them. “The term ‘corrugated’ refers to a specific type of material that is actually composed of three different sheets of container board, which are basically like thick paperboard. The two sheets on the outside are flat liners and the sheet in the middle has a rippled shape. A corrugated fiberboard sheet is created by gluing these three sheets together with a thick, starchy glue that is commonly used in the packaging industry. This means that corrugated cardboard is simply stronger than the regular cardboard that you can find as cereal boxes or other food packaging. You have probably noticed by now that cats adore cardboard. Whether to chew or to scratch there isn’t a cat that has not loved roughening up a good old cardboard box” . If you’ve ever gone out of your way to buy an expensive product for your cat, unwrapped it, and found them jumping straight back into the packaging rather than playing with the new toy, you’ll know already that cats can’t resist a good box. Corrugated cardboard cat scratchers are just an extension of the natural inclination that cats have to run and play in the finest of packaging. A corrugated cardboard scratcher is a good alternative to traditional scratching posts and cat trees. First, they’re generally more affordable. And second, they are often made of recycled materials, making them more eco-friendly. Being made of a recyclable material (and possibly even constructed from recycled material initially) they provide a refreshing change from cheaper posts which may either be constructed of non-renewable hardwood or contain harmful chemicals that break down in their plastic materials. Often times, cardboard cat scratchers are also constructed with non-toxic glues. Moreover, they are surprisingly economical. When a more expensive, traditional scratching post breaks or if the sisal rope frays, often the only option is to dispose of it. But with the best-corrugated cardboard cat scratchers, the material can be renewed, or the whole item is either replaceable or fixable. PetFusion went above and beyond with this aesthetically-pleasing corrugated cardboard cat scratcher. It provides a unique horizontal angle for cats to stretch out their bodies, while also providing a place to lounge. PetFusion makes some of the best corrugated cardboard cat scratchers on the market. 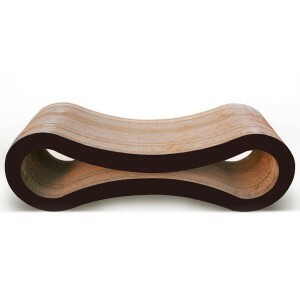 This scratcher supports a huge amount of weight thanks to its sturdy construction. It’s also made from eco-friendly ultra-dense recycled cardboard with non-toxic cornstarch glue. For those of your looking for something that will fit the decor of your house, the neutral tones and pleasing shape will suit your interior. Some reviewers comment that it’s so popular in their house, their cats even race to be the one who sleeps on it! Tip: When both sides are scratched-out, cut the lounge in half (lengthwise) to reveal two new and untouched surfaces for your cats to continue scratching on. This offering from KONG is a little different, choosing instead to go for an inclined slope of cardboard over the traditional flat aspect. The real difference, however, goes beyond this. One of the main issues when purchasing a corrugated cardboard cat scratcher is the mess created once it’s been shredded to bits by eager claws. To combat this, Kong provides a reversible pad to double the entertainment value. Additionally, to reduce the mess, they designed their product in such a way so that it collects cardboard residue. You can also buy replacement pads and recycle the old ones, giving this product a great value for the price. 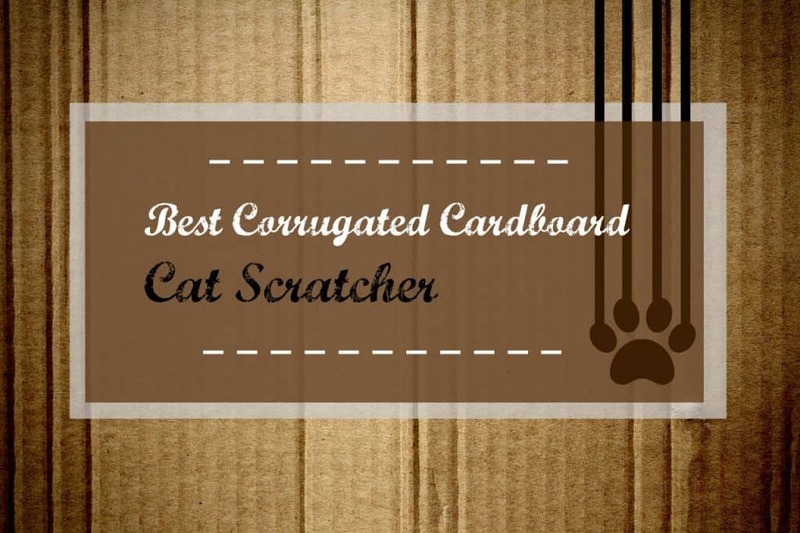 Boasted as “The Original Scratch Lounge” and best cardboard scratcher for cats. This cardboard is uniquely designed with 3 sides to invite your feline to burrow and nest to make themselves comfortable. Its cat-scratch technology is made to last longer compared to other scratchers, thanks to the chemical-free honeycomb construction of the cardboard pads. It is also reversible, recyclable, and made from 100% recycled material. It includes a small bag of 100% premium Canadian catnip to encourage your kitty to play and take comfort in their Scratch Lounge. Plus, its size and relative low-profile makes it easy to integrate into your home. Why not get one for each cat? Indeed, having more than one in a house will save your furniture. 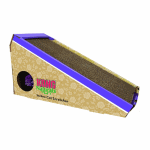 The Catit Lounge Scratcher is a great option if you are looking for a temporary cardboard cat scratcher. We have bought two in the times of transition with Yoda (moving countries) because they are cheap and effective. They are great for full-body stretches, even for large cats. 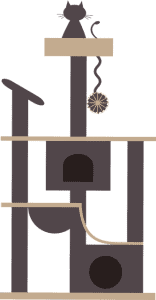 But you’ll need to place a mat under it so it doesn’t move. When one side is torn to bits, flip it over to get another use out of it. The Catit Lounge Scratcher is a great introduction to cardboard cat scratchers if you don’t want to spend too much money. But remember, it won’t last a long time, especially if your cat ends up loving it! Tip: You could always buy a cheap alternative before investing more money in a cardboard cat scratcher, like the long-lasting PetFusion models. It’s important to check to see if your feline likes the cardboard texture over sisal scratching posts! While some of the best cardboard cat scratchers are available on the market for a very affordable price, you can also make one of your own. Instructions are typically available online for free. Instructables is a good website to start with. You don’t need any DIY knowledge and only little materials. Just make sure you ensure the safety of your cat while building it. Make sure to put away all harmful tools and materials (nails, splinters, sharp knives). Cardboard cat scratchers provide an affordable and environmentally-friendly way to entertain your feline. Not to mention, they are vital for your cat’s exercise and mental health. If those aren’t reasons enough, the best corrugated cardboard cat scratchers will save your furniture!